Get Hands-On with ProfileUnity! Now part of VMware’s Hands-On-Labs! We’re proud to announce that ProfileUnity, our leading User Environment Management software, is now part of the VMware Hands On Labs (HOL) experience. VMware HOL allows you to test drive ProfileUnity in a live Horizon production environment! 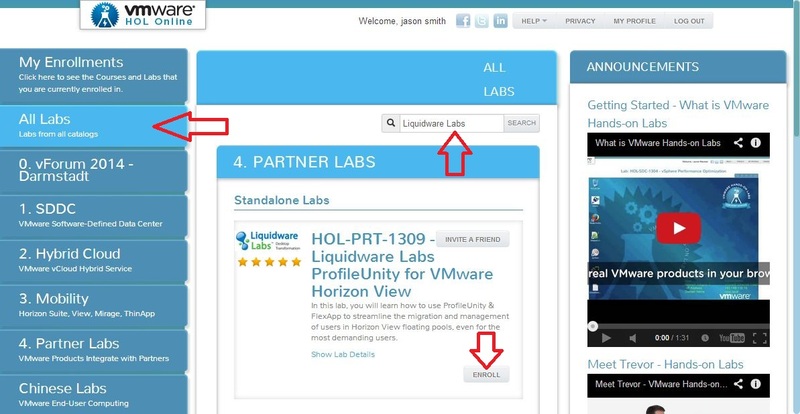 Anyone can take ProfileUnity for a test drive through the VMware HOL and it’s FREE! Here are some of the things you’ll be able to demo first-hand! In this lab, you will learn how to use ProfileUnity, including FlexApp features, to streamline the migration and management of users in Horizon View floating pools. • Apply context aware filters to deliver the right data/application/setting to the right user/device/location. • Capture and deliver additional applications on the fly with FlexApp layering technology! Below are some tips for getting started. 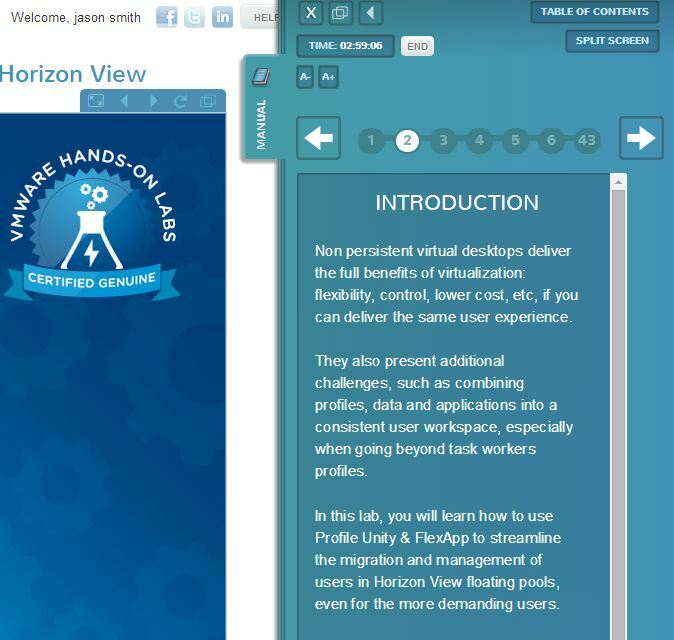 You can experience the VMware Hands-On-Labs with ProfileUnity right now. Step 1) Login on the screen through the link in the top right-hand corner. You’ll be given a chance to register, which is free. Step 2) Per this screen, select “All Labs,” then search by Liquidware Labs or ProfileUnity, then click enroll. Step 3) Once you are in the ProfileUnity labs click on the Lab’s Manual to start the course as seen here. Step 4) Take the self-paced lab by following the Lab Manual as seen here. If you get interrupted by something else, you can pick up where you left off later. 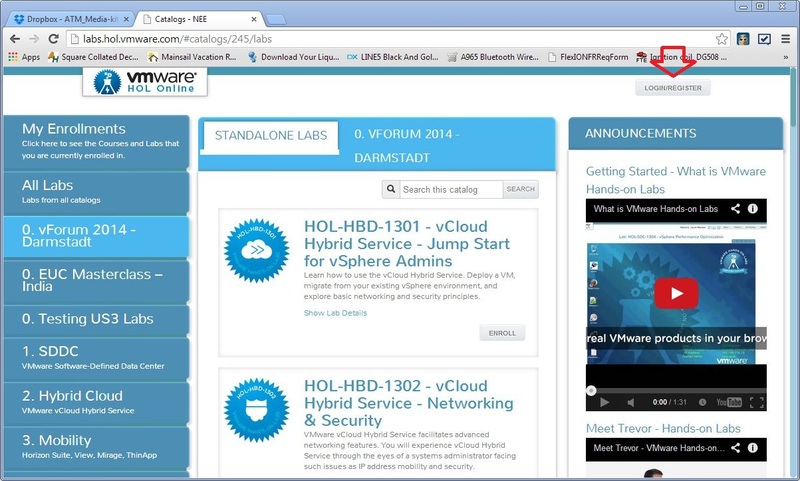 We’re proud to be part of the VMware Hands-On-Labs experience! We hope you enjoy your test drive of ProfileUnity in a live Horizon production environment!